Many people find it easy to stay paleo before pregnancy, but during pregnancy, it's a lot more challenging. We’ll be talking about why that’s so, and advice for doing the best you can, for yourself and your baby. This is a NON-judgmental podcast. Paleo perfectionism and pregnancy don’t always fit well together. We'll also talk about how pregnancy affects autoimmune disease, and why some people go into remission, while others flare. We'll also share tips for healthy choices for every trimester and labor itself. Mikaela Morgan Guimaraes is the blogger behind Slightly Lost Girl and La Chica Paleo. She has Crohn’s disease and is 7 months pregnant. Prior to getting pregnant, she had been following the paleo autoimmune protocol for two years. Before the AIP, her immunosuppressant medication had stopped working and her symptoms included severe abdominal pain, joint pain, she was 30 pounds underweight, and she was going to the bathroom 20-30 times a night. It took her a full year to see improvements on the AIP, but she stuck with it, and her symptoms eventually went away altogether. Some have now returned with the hormonal fluctuations of pregnancy. Samantha McClellan is the blogger behind AIP Sisterhood (formerly Sweet Potatoes and Social Change) and she has ulcerative colitis. She's also a Birth Doula working in the NC Triad area and will be providing the professional perspective for our show today. Disclaimer: Samantha isn't a doctor, so please take her advice as that of an informed friend, and ask your doctor about your healthcare decisions. Samantha: Focus on nutrient density, incorporating things like leafy greens, bone broth, seafood and organ meats. She also recommends the following supplements: a quality prenatal vitamin: either Thorne Basic Prenatal or Optimal Prenatal, both of which are allergen-free and contain the active forms of B vitamins. A quality probiotic like Genestra Maternity. And Magnesium. Mikaela: Mikaela ate a very nutrient-dense diet prior to pregnancy and does take a prenatal vitamin. She got pregnant quickly after going off birth control. 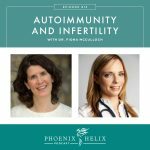 Some people with autoimmune disease find it harder to get pregnant; if that's you, please listen to Episode 13 of this podcast: Autoimmunity and Infertility, for lots of helpful advice. Samantha: 90% of pregnant women experience nausea and protein aversion. It's a normal response to the hormone fluctuations during pregnancy. However, nausea worsens when blood sugar drops, so keeping blood sugar stable by eating plenty of healthy fats with your carbohydrates is helpful. Other things that can help with nausea are drinking ginger tea, or smelling lemon essential oil. Regarding the protein aversion, take comfort in the fact that it's temporary and you will make up the nutrition in the second trimester. Eat a wide a variety of starchy vegetables and fruit, rather than the same ones all the time. Always add fats. Drink bone broth and soups, if you can. Mikaela: She experienced nausea for 5 months, but found that if she forced herself to eat some protein, it made the nausea go away faster. Nausea was worse when she let herself get hungry, so she got in the habit of eating frequent small meals, which helped. Mikeala: She flared toward the end of her second trimester, which she believes was brought on by stress. She's not one of the lucky women who go into remission. 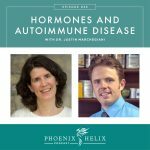 Samantha: While we know that hormones affect autoimmune expression, we don't yet understand it well enough to predict it or prevent it. Some people's symptoms get better and others get worse when pregnant, and the same thing can happen after delivery. Some research suggests it's disease-dependent – that people with rheumatoid arthritis or multiple sclerosis are more likely to go into remission during pregnancy, while people with lupus are more likely to flare. Pregnancy is an immune-suppressed state, to allow the baby to grow inside you, so be aware that food reintroductions during pregnancy aren't accurate, and you may not tolerate them after delivery. Samantha: If you're finding sticking to the AIP too difficult, white rice and scrambled eggs are two foods many people tolerate well during pregnancy. White rice is starchy (which people crave) and egg yolks are nutrient-dense. 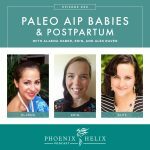 Mikaela: She found it easy to stay AIP prior to pregnancy and was humbled by how hard it was to continue after pregnancy (see her blog post). She ended up expanding her diet with those very foods Samantha recommended: white rice, pastured eggs, and also ghee. She has been able to stay gluten-free and mostly AIP. Eileen: If you're craving things like oatmeal and “cream of wheat”, we have some wonderful AIP-friendly cereal substitutes in the AIP breakfast cookbook. 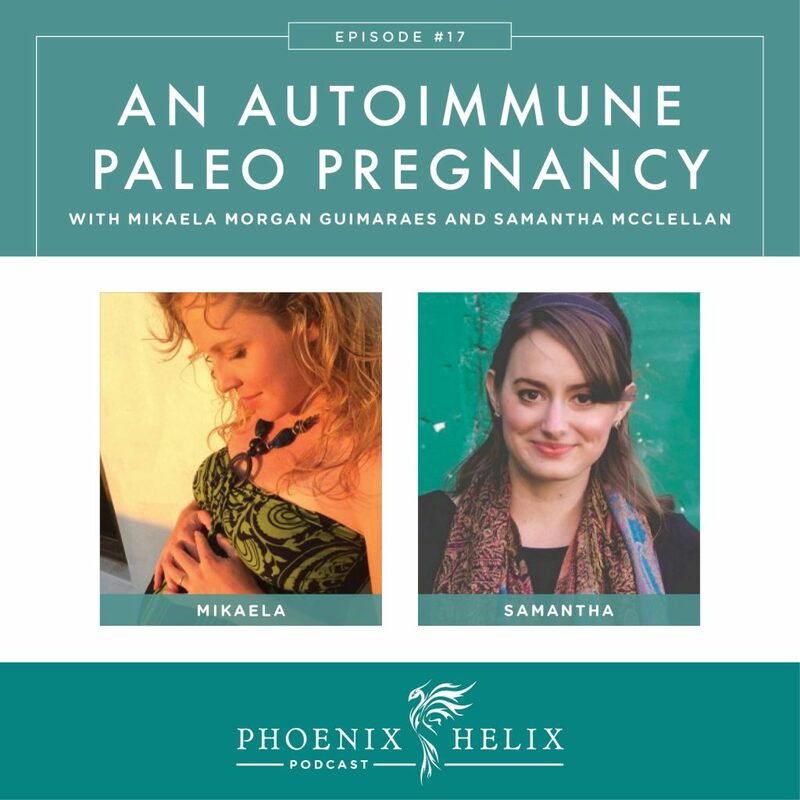 Mikaela: Hers happened in the second trimester, so she returned to strict AIP, ate bone broth veggie soups until the worst of it was over, and focused on stress management and taking care of herself emotionally. She also found it vital to let go of any self-blame for the flare. Two supplements she finds helpful for IBD flares are L-Glutamine and Prescript Assist. Eileen: Read my article of tips called How to Survive an Autoimmune Flare. Samantha: It's hard for pregnant women who already have children to take the time for self-care and stress management, but it's really important to make it a priority. Samantha: This is a good time to focus on nutrient-density, after the food aversions have passed. Be careful not to go too low-carb. The baby needs glucose to develop. She recommends 30% carbs, 20% protein and 50% fat. Samantha: The mother's organs get displaced to make room for the growing baby. This is why it's difficult to eat large meals; it's also why you have to go to the bathroom frequently. Insulin resistance is also a normal response to the hormone fluctuations of the 3rd trimester. Aim to eat 4-6 small meals during the day and overnight (eat when you wake up in the middle of the night). This will stabilize blood sugar and help you sleep better. Cut out desserts and load up on the protein, fat and safe starches. Choose low-glycemic fruits for sugar cravings like berries and grapefruit. And continue to focus on probiotics. Mikaela: She's currently in her 3rd trimester. She's eating lots of fresh seafood in Mexico. The Paleo Mom recommends seafood for women during pregnancy. Make sure you have plenty of support. Sometimes that might be your partner; other times it might be a friend or family member who has had a baby themselves. Will you be able to eat and drink during labor? Do they require continuous fetal monitoring, or will you be able to get out of bed and move around when you want to? Do they have tubs and showers available in the rooms for pain management? Do they have a cap on number of people allowed in delivery room? Do they separate Mom and baby after delivery? What is the hospital's C-section rate? Consider free-standing birth centers as well as hospitals. Plan your labor and post-delivery food. You'll need to eat, and the hospital food is unlikely to be paleo-friendly. Eating during early labor will give you the energy you need for active labor later. Some portable ideas are: dried fruit, applesauce, fruit and vegetable puree pouches, plantain chips, and sweet potato chips. Coconut water is an excellent way to stay hydrated and get needed electrolytes during labor. Post delivery, have a large, favorite meal in a cooler that someone can heat up for you. Labor is like a marathon, and you'll be very hungry when it's over. Lastly, have plenty of snacks and mini-meals available for your time in the hospital. Glucose Test: It's a test for gestational diabetes, and involves an artificial glucose solution that's hard on the body. Alternatives are eating foods in your diet that equal 50-60 grams of glucose (3 bananas, or 16 oz. orange juice and a banana). 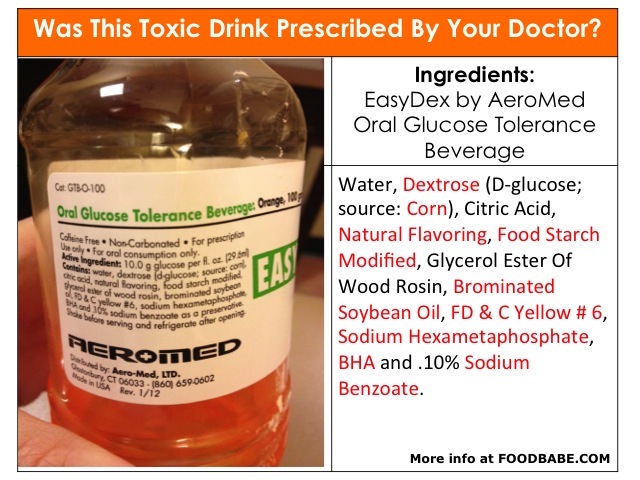 Or to test your blood sugar at home with a diabetes test kit. Group B Strep: It's a bacterial infection that can be fatal to the baby, so the mother's vaginal canal is tested at the end of pregnancy, and if it's found, IV antibiotics are recommended during labor and sometimes the baby is also given antibiotics after birth. Due to the high risk, Samantha recommends the test and the antibiotics when necessary. She recommends requesting a hep lock, so you don't have to be hooked up to an IV throughout labor. She also recommends probiotics before, during and after delivery, and to consider probiotics for the baby as well. Samantha offers doula services to people in the NC Triad area and you can connect with her through her website: Empower Birth Services. She also has an AIP food blog called AIP Sisterhood (formerly Sweet Potatoes and Social Change). Other Resources: The Modern Paleo Midwife and Evidence-Based Birth.